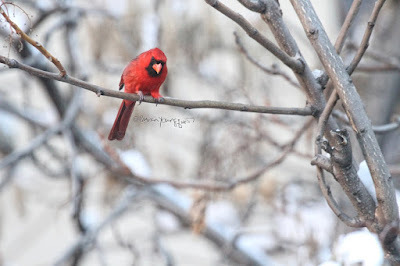 The Last Leaf Gardener: GOOD GRIEF! It's February 12th Again! Last year, on February 12th 2016, my post here on Blogger featured the very same photograph seen here (above), atop that particular entry. The image is of a Macy's Ballon rendered in the likeness of Charlie Brown for one of The Macy's Thanksgiving Day Parades. On last year's blog post, this image was followed by pictures of other balloons featured in Macy's Parades. The ones I am referring to were designed in the likeness of Snoopy and Woodstock. And in that entry I stated: "The pictures posted atop today's entry, February the 12th of 2016 are in honor of Charles Schultz who lived on this earth between the years 11/26/1922—2/12/2000, but, to this day, lives on in the hearts and minds of countless people." A year has passed since the aforementioned blog post; and the legacy of Schultz, as well as the cast of characters he created, continue to inspire and delight innumerable people! 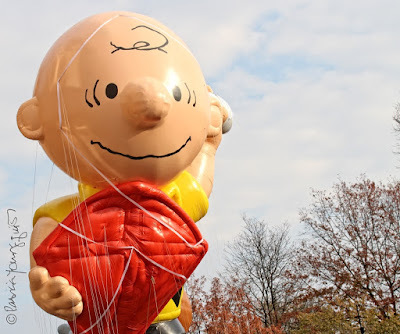 Moreover, the ballon rendered to look like Charlie Brown recently got a make-over; and, it was the leader in this past Macy's Thanksgiving Parade! 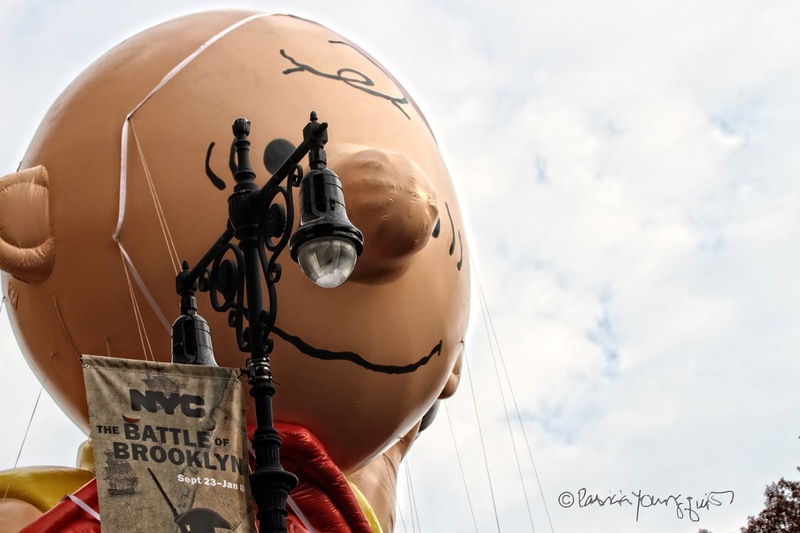 The following pictures feature Charlie Brown's new "balloon look." As you can see, he now carries his beloved kite. Charlie Brown's efforts to fly a kite were so heart wrenching! 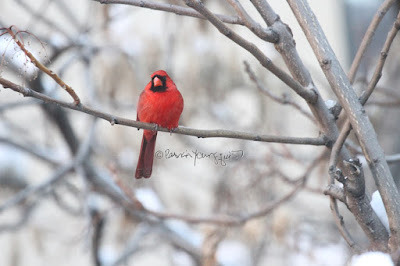 This is a topic, I covered in a post on Go Fly a Kite Day, which was February the eighth. 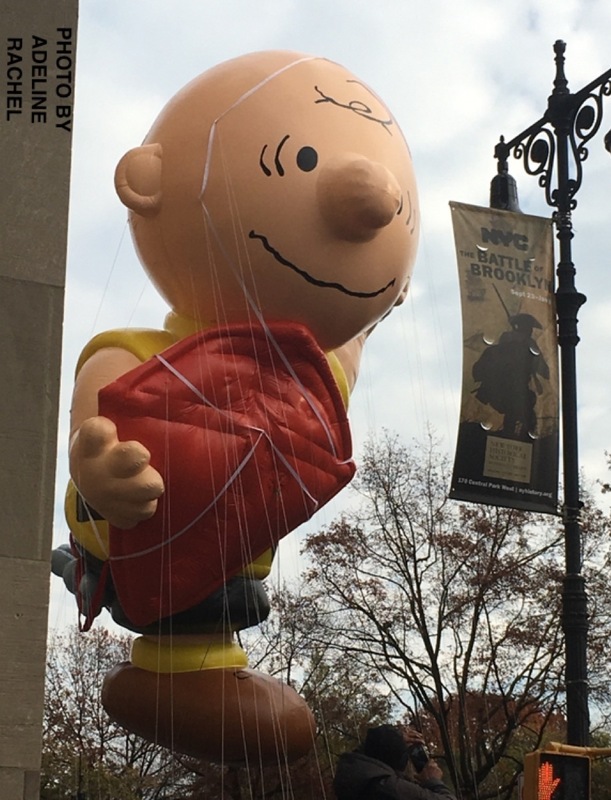 Be that as it may, in terms of Charlie Brown's latest role in The Macy's Parade, he came close to side-swiping a lamp post (as seen below). Now that's what I call a Good Grief moment! 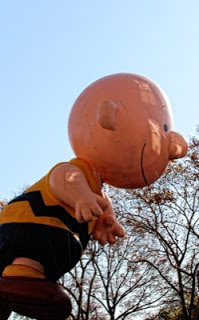 However, Charlie Brown did not give into his usual rhetoric of putting himself down! Instead he joked about giving those whom he was leading down the parade's route, a green light! It was great to see him persevering in his role of parade leader. 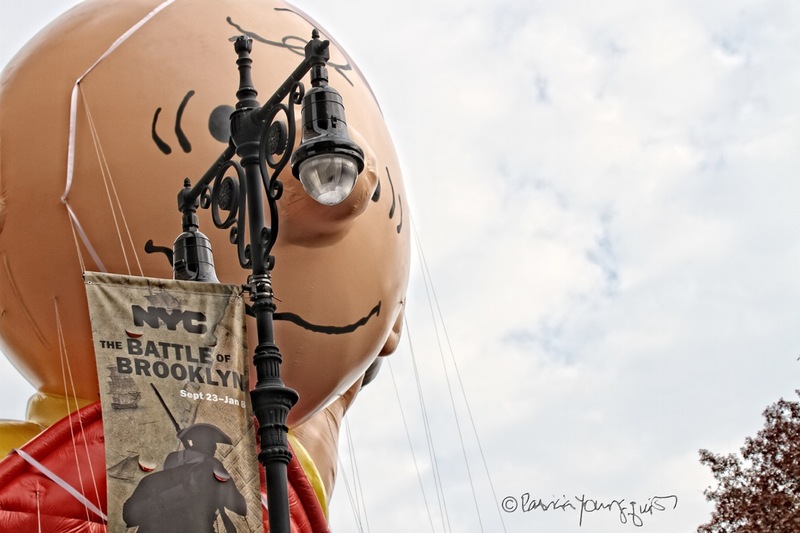 Often Snoopy and Woodstock bring up the rear when participating in the parade, but at this past November's event, they were no where in sight! 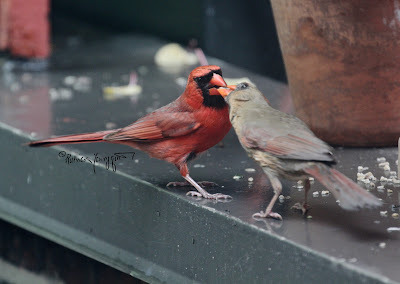 However, even though Woodstock was not around, other bird-themed participants made their comeback in this extravaganza. 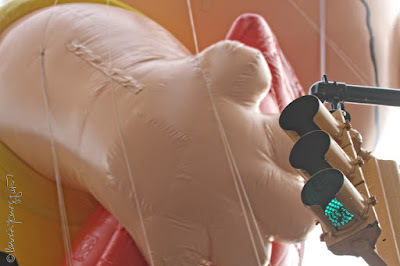 These included floats rendered in the likeness of Tom Turkey, as well as one rendered to look like The Aflac Duck. 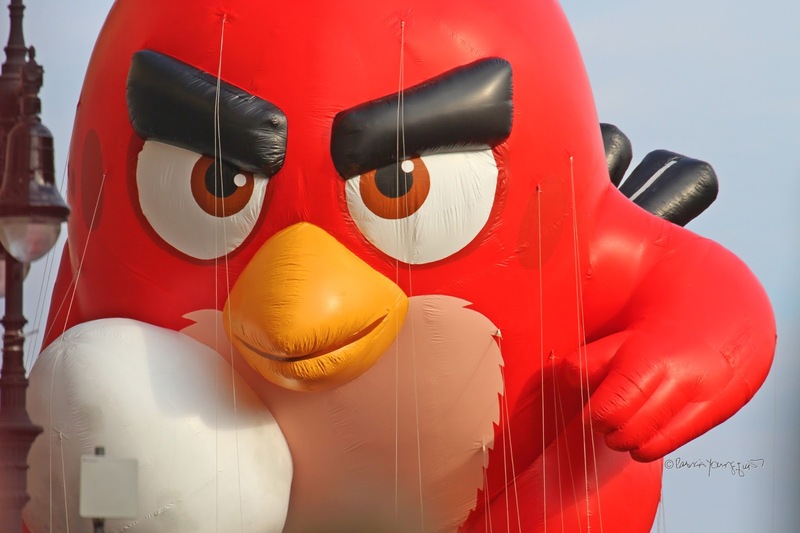 Moreover, the ballon Angry Bird Red, took part in the event, he can be seen in the picture below. I first encountered Angry Bird Red in 2015's Macy's Thanksgiving Parade, when I took the following picture. 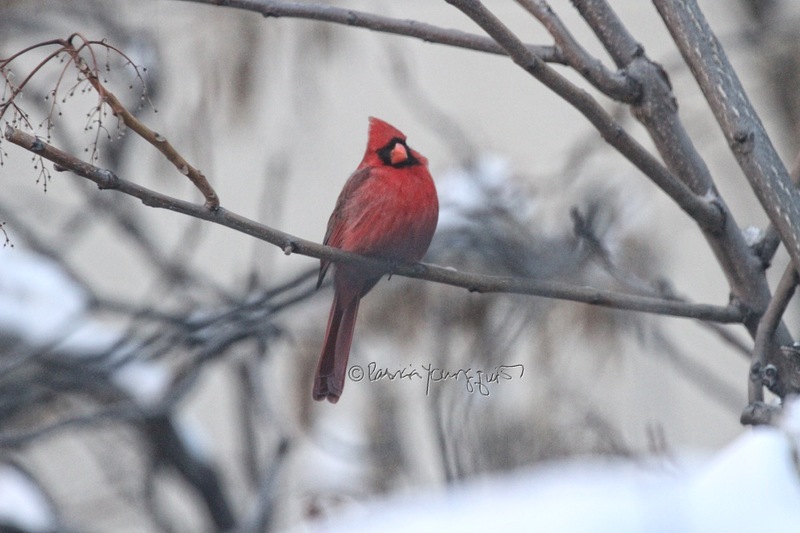 Even though Cam is thrilled that her bird type (Northern Cardinal), albeit the male variety, is represented in ballon-format in The Macy's Parade, she is a bit insulted re certain associations made with Angry Bird Red and male cardinals! For example, The Mirror, has stated that "'Cranky' cardinal is a dead ringer for computer game creature (Angry Red Bird)." she would be mortified! 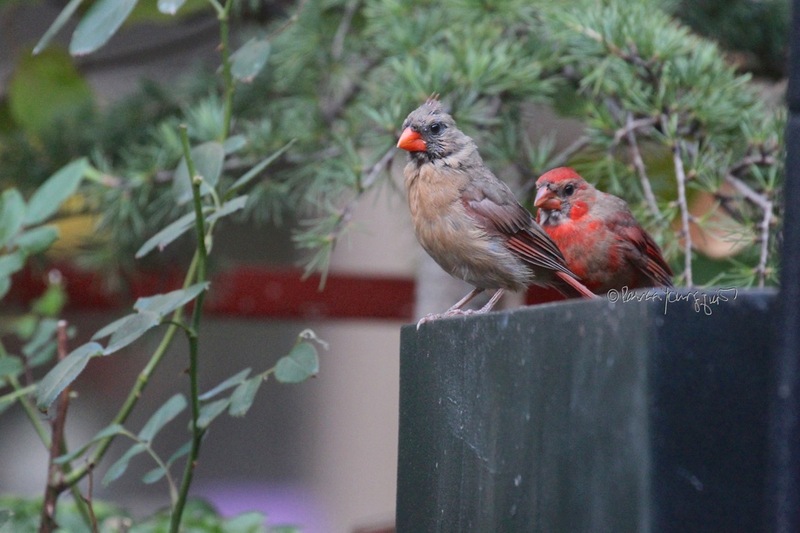 After all, Angry Bird (Red) and Cam's beloved male cardinals are quite different. 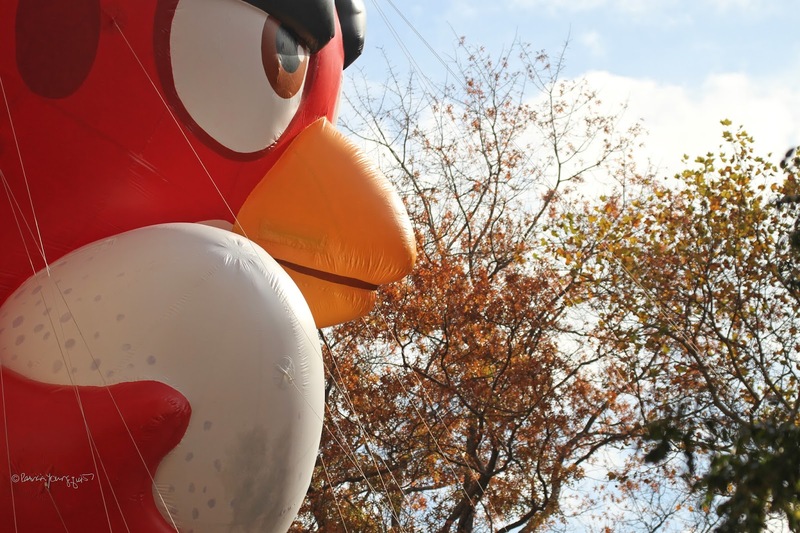 According to Fandom, "Red has two red feathers on top of his head, and has two black eyebrows that form a unibrow when it is in default. He has 3 tail feathers, two maroon eye bags, and two maroon spots on either side of his face. 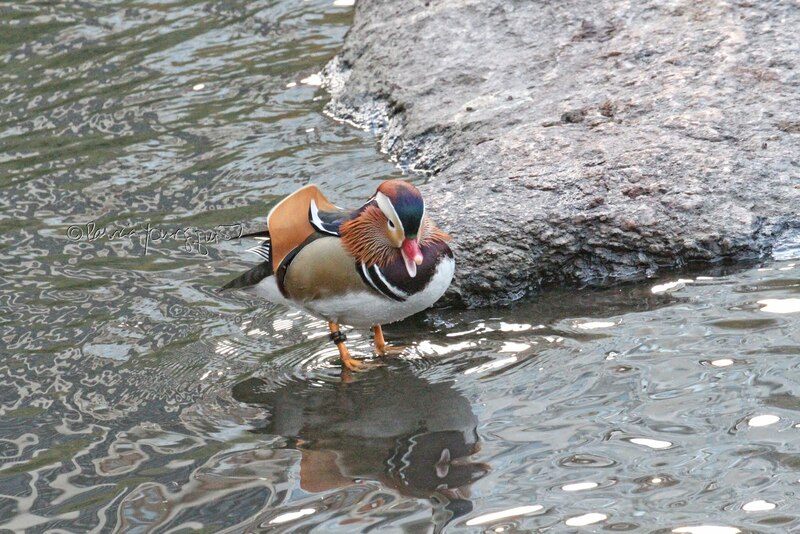 His beak is yellow and he has beige chest feathers. In his earlier cartoon appearance until the four-part movie Angry Birds Bing, Red's appearance remains the same as he gains three feathers in each sides instead of two maroon spots in either side of his face and his chest feathers are white." and she is deeply in love with her husband. 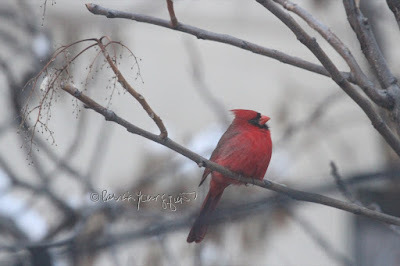 Therefore when criticism of the male cardinals behavior is brought to her attention, Cam takes it to heart — even if at times it seems to her, that folks concentrate more on the males! 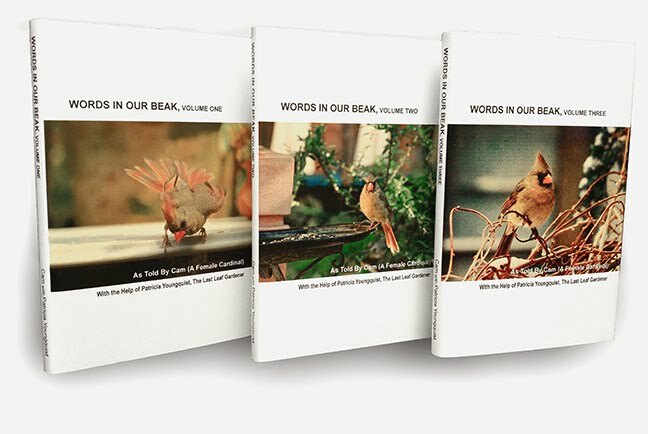 She goes into detail re this matter in her book; a book which makes a great Valentines Day (a holiday that as of this posting is only two days away) gift for love birds who love birds. Moreover, the image directly above is available as a postcard and it makes a great Valentines Day card! Everyone loves to be thought on Valentines Day, which is something Charles Schultz certainly understood!